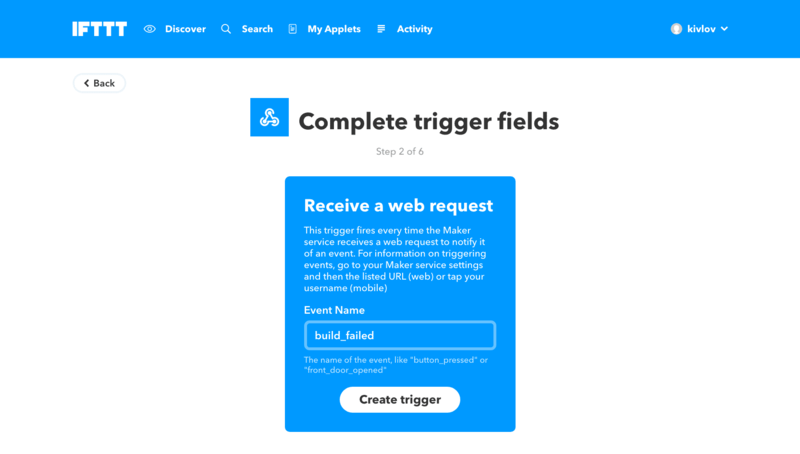 IFTTT is one of the most popular services (if not the most popular) that you can use to create simple conditional statements for all your internet-connected things, including your favorite Continuous Delivery service. 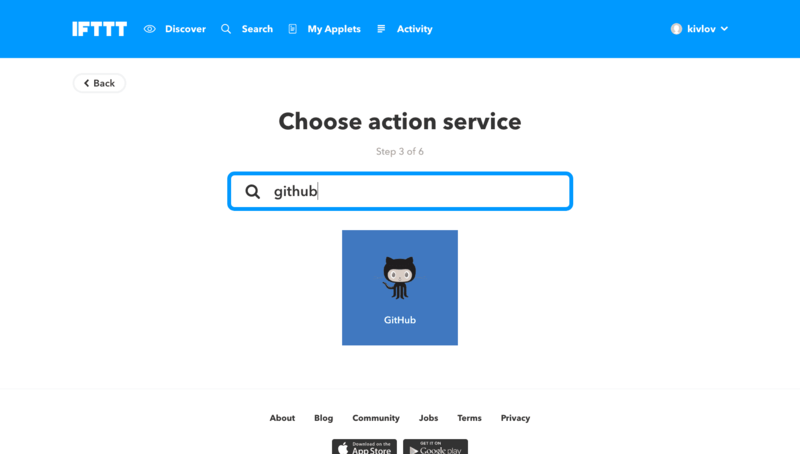 In this guide we’ll show you how to configure IFTTT to automatically create an issue in your GitHub repository when something wrong goes in the pipeline (eg. 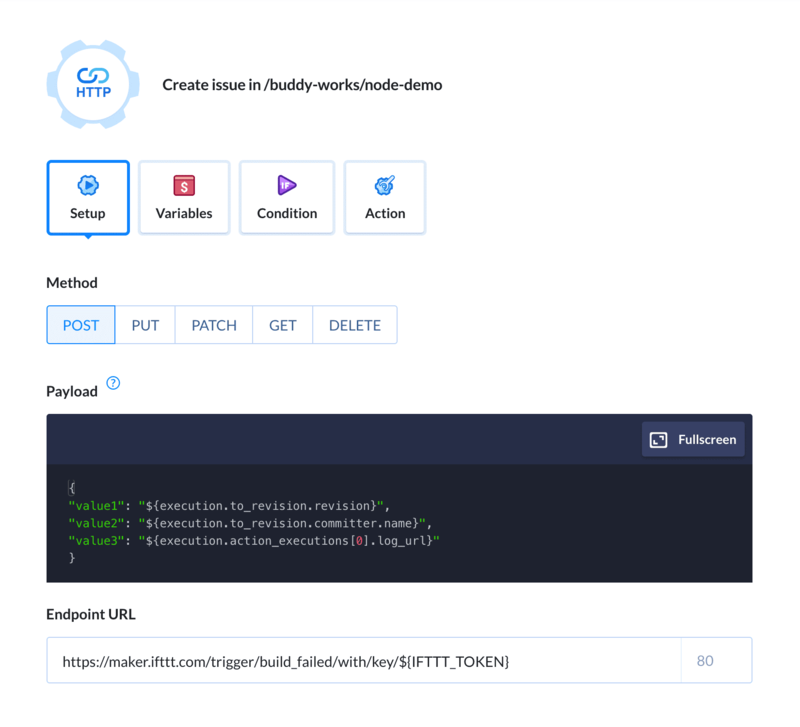 a build fails). 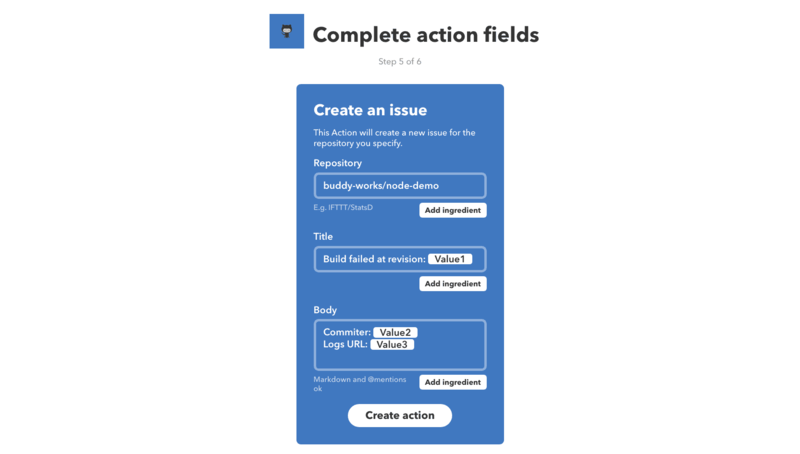 The examples above employ custom variables (ingredients) in the recipe. 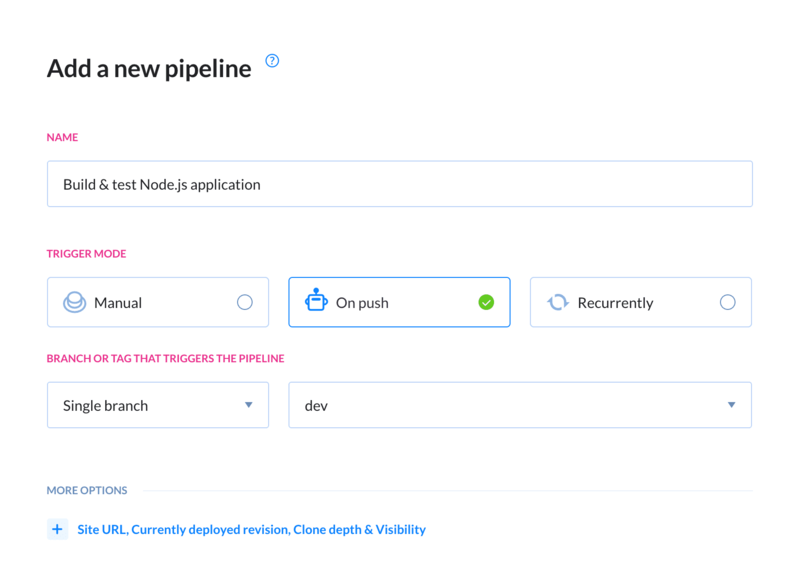 We’ll configure them to send details about your execution in the next step. 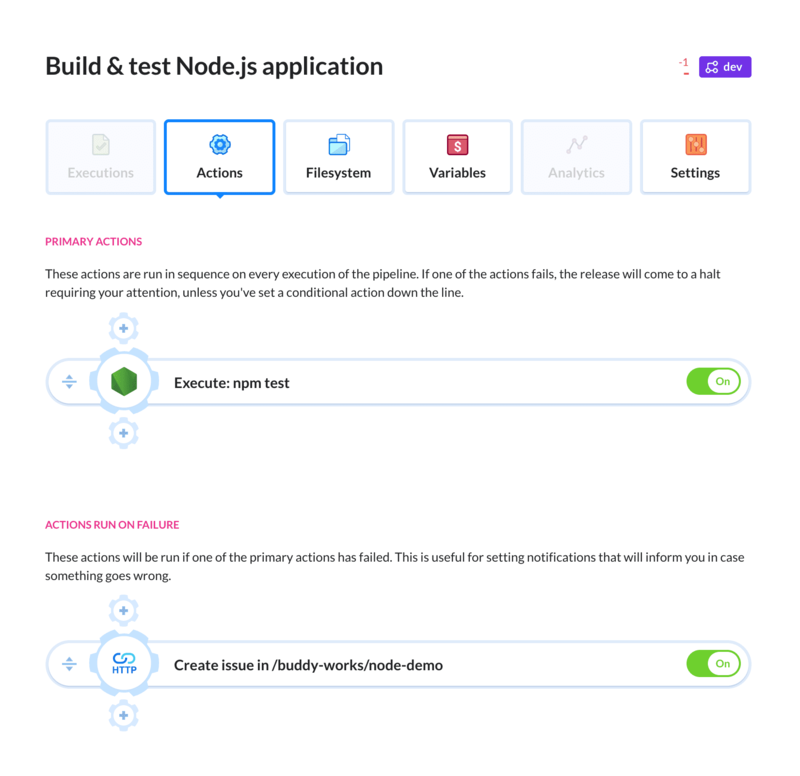 Add Send HTTP request to ‘Actions run on failure’. This way the request will be sent only if the primary action has failed. 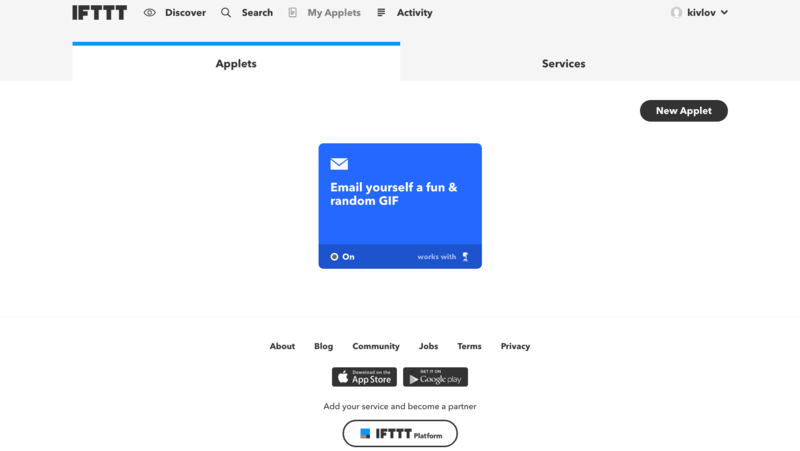 In the Endpoint URL, paste the token from IFTTT. 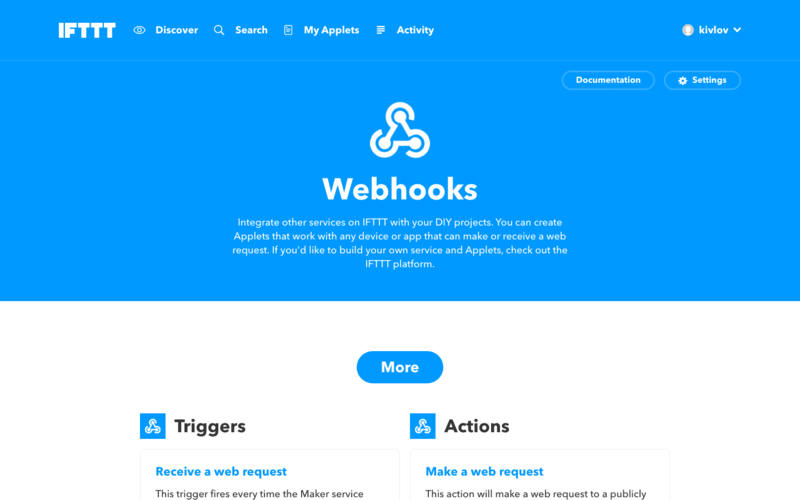 You can find it at the Webhook’s maker page under Documentation in your IFTTT profile. Enter the Name for the variable (eg. 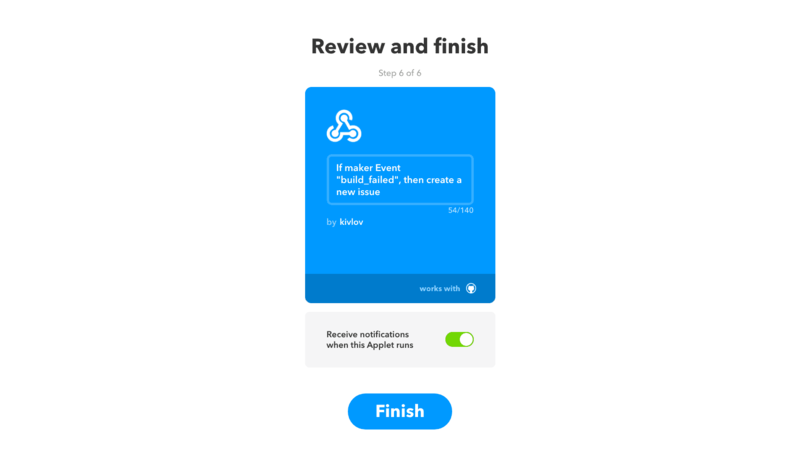 IFTTT_TOKEN) and paste the Value. 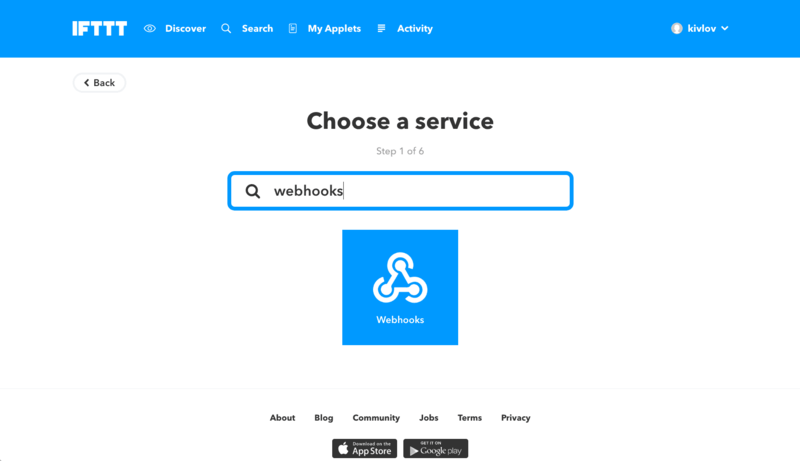 This is the first of the upcoming series of IFTTT recipies that we’re planning to add. 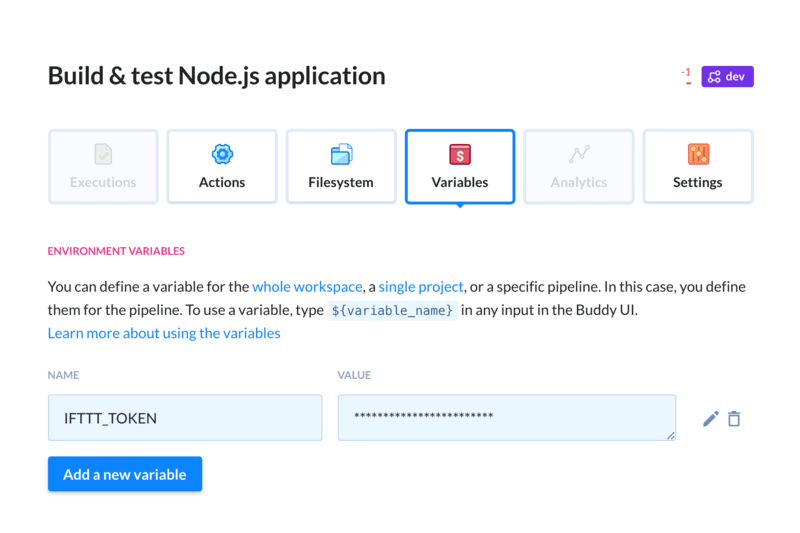 If you have an idea for a cool recipe for Buddy, feel free to drop a word to support@buddy.works. 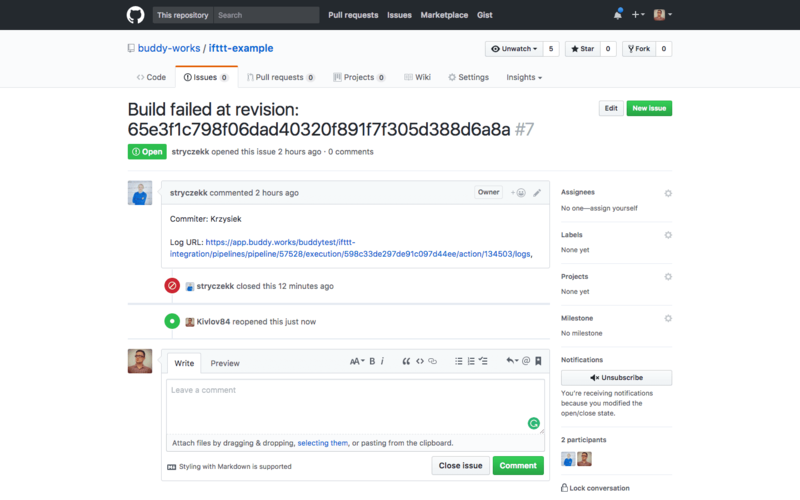 Test apps and create issues in your GitHub repository if something goes wrong.